Yes, I know, I've struggled with keeping up with the Friday Favorite. It's not that I don't think about it or have one waiting, it's just that, these days, it's not always easy remember what day it actually is. 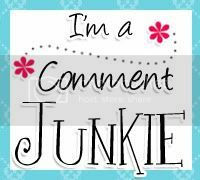 So here is my oh so exciting Friday Favorite. It's impressive. OK, so I'm lame, but these M&M's are absolutely fabulous! This was really the best I could do. I'll try again next week, but I'm not making any promises. Just read my next Friday Favorite while eating some of these M&M's and you'll forgive my lack of....whatever. And pick up a package for me too! I seem to recall being the one who introduced you to the loveliness of the cherry M&Ms. 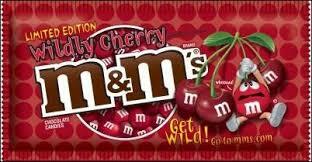 I love cherry coke but cherry m&ms sound iffy. Are they chocolate flavored like cherry? I guess I'll have to try them.